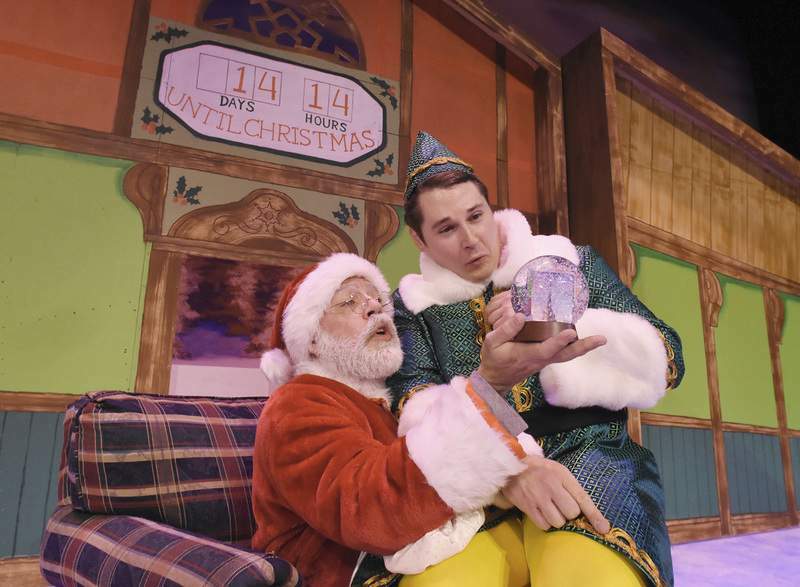 Rachel Von | The Journal Gazette Jordan Gameon, "Buddy", right, and Jeffery Moore, "Santa" star in "Elf: The Musical"
Rachel Von | The Journal Gazette Jordan Gameon stars as Buddy in "Elf: The Musical," which opens tonight from Fort Wayne Civic Theatre. 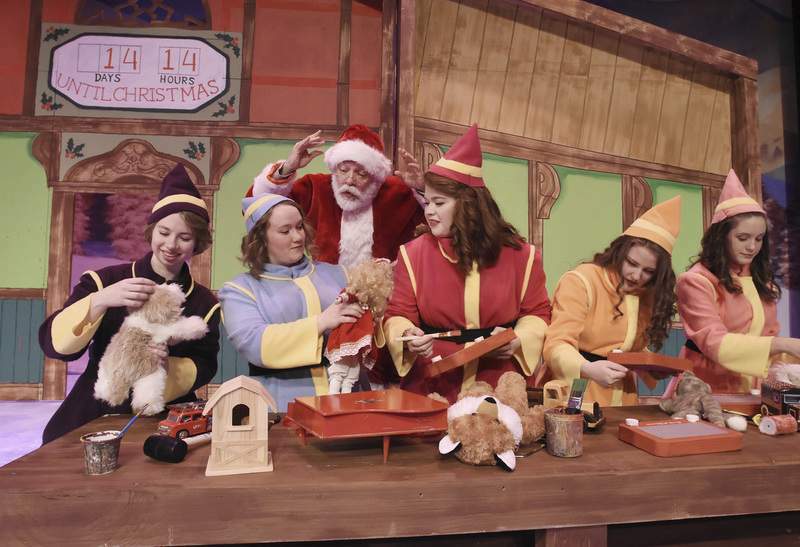 Rachel Von | The Journal Gazette Jordan Gameon, "Buddy", center, is surrounded by fake Santas in "Elf: The Musical." Jeffery Moore as Santa gives some instruction to a group of elves. 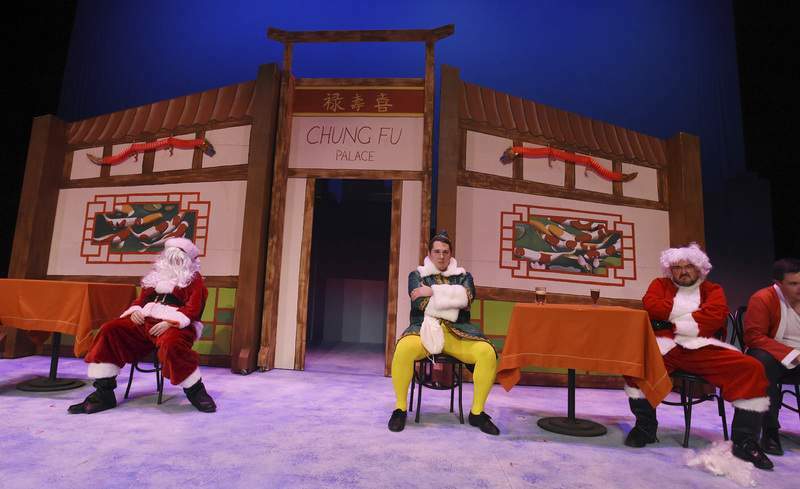 Where: Arts United Center, 303 E. Main St.
What is a collective noun for Santas? A flock? A herd? A jingle? A jangle? A jangle of Santas are standing around joking about their outfits. There are a couple of your typical mall varieties with oversized pants and fake beards hanging askew, there's one or two that look like they got their outfits at a discount store and a cowboy Santa complete with red and white chaps. Why don't they quite look like the real Santa? Because he is waiting in the wings – authentic white beard and all. But this is far from a convention of jolly old elves (or not so jolly, as it turns out when they start to sing). 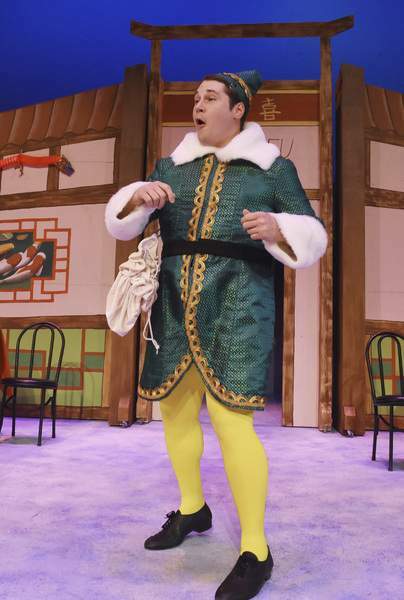 This is rehearsal for “Elf: The Musical,” the holiday show from Civic Theatre opening tonight. Tickets have been selling so well that Fort Wayne Civic Theatre added a show tonight. Several performances are sold out and others have limited seating. Director Leslie Hormann calls the show awesome for the whole family. Adults and older children will enjoy the humor while there is lots of action and bright colors for younger kids to look at. 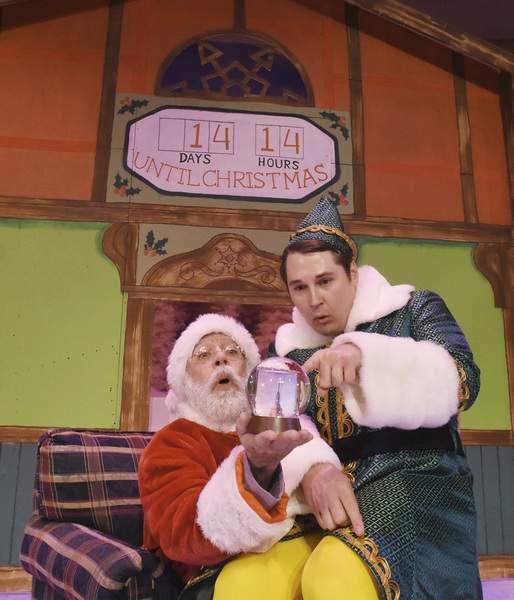 The musical was adapted from the 2003 Will Ferrell movie centering on Buddy, a man who was raised among elves at the North Pole unaware he is human. Now grown, he travels to New York to find his family and help the bustling city remember the true meaning of Christmas. Buddy embodies the excitement of the holidays and reminds us that we can still embrace the magic, Hormann says. This is her first show directing outside Youtheatre, where she stepped down as artistic and executive director this spring. So what has she learned working with adults? That the kids learn their lines faster, she jokes. The musical is a whole different experience from the movie, Hormann says. The music and dances bring an added layer of fun to the live performance. Jordan Gameon, who plays Buddy, keeps the energy up even though he's onstage jumping around for almost the entire 21/2-hour show.